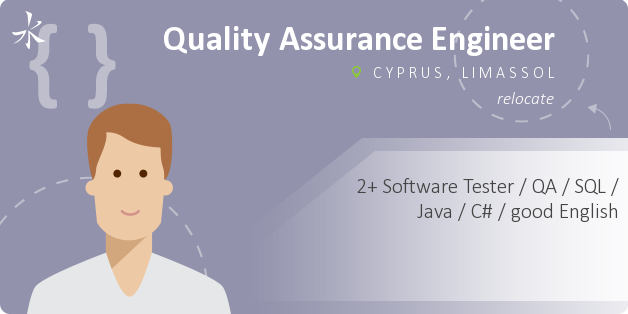 A large fintech company invites to work in sunny Cyprus! Functional and performance testing of client-side and server-side products with maximum automation. Reviews of tests done by other team members, bugs verification and regression tests automation. Interaction with development and support team in order to improve the quality of the finished product. There are many projects, both long-lasting and new ones. Our feature - specialists are involved in several complex projects at different stages simultaneously. English level: Upper-intermediate. Work in a multinational team, where the main connecting language is English. Lunches from the chef, coffee and fresh juices. Mild climate, 15 in winter, beach season from April to November.